American Axle & Manufacturing (AAM) is well known as an OE axle assembly supplier to G.M., Chrysler and others. Our Ram 3500 truck features AAM axles at each end. 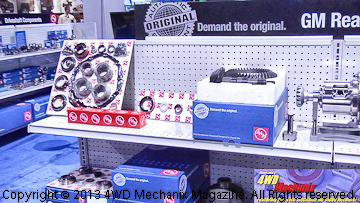 AAM is now moving into the aftermarket with direct sales to distributors who will sell to retail consumers. Boxed in attractive AAM packaging, these kits and components are Original Equipment quality, your assurance of accurate fit and reliability! At left is the component packaging that will distinguish AAM products. Intelligent subset parts packaging will enable consumers to make repairs of unit assemblies and smaller sub-assemblies—without buying excess parts. All needed parts are present for a repair. At right, for example, is a pinion seal replacement kit with the seal, crush sleeve, new pinion nut and washer—all parts needed for this repair! 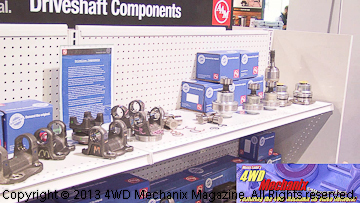 AAM will be a welcome aftermarket supplier. 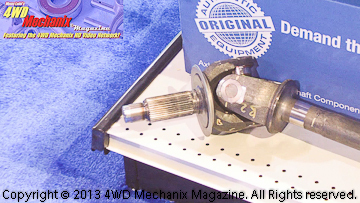 Axle shaft assemblies and driveline parts are OE quality and the same engineering as factory parts. This is a major advantage to installers, and these components will be available through WDs, authorized shops and retail outlets. 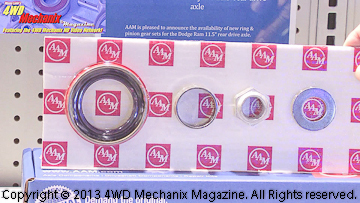 Watch for the AAM packaging and labels, your assurance of quality!